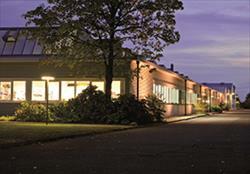 - is a global market leader for laboratory equipment, analytical and process technology. 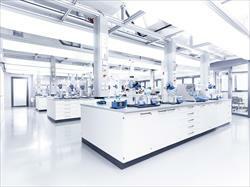 IKA-Werke GmbH & Co. KG is a global market leader for laboratory equipment, analytical and process technology. The IKA Group offers a wide range of innovative equipment for numerous applications in research and development. Market leaders in varying fields of applications trust in our proven technology for their mixing, heating, distilling and crushing applications. IKA has gained a leading position in the world market with its innovative magnetic stirrers, mixers, overhead stirrers, shakers, homogenizers, mills, rotary evaporators, calorimeters, laboratory reactors and specially developed software for laboratory and analysis applications, as well as temperature control products such as circulators, baths and chillers. The process technology section offers solutions for production scale stirring, mixing and kneading applications. The company, which was founded in 1910 as a distributor for pharmacies and hospitals, relocated from bombed-out Cologne to Staufen in 1942. 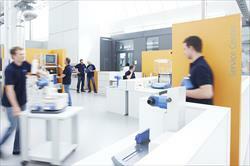 IKA-Werke GmbH & Co. KG in Staufen can now look back on more than a century of company history. The company is headquartered in Staufen, Germany with subsidiaries in the USA, China, India, Malaysia, Korea, Brazil and Japan. In 2014, the company employed approx. 800 people and reported sales of more than 100 Million euro (approx. 139 million US dollar).